The number of citations has been widely used for scientific evaluation of publications and even institutions and individual scientists. However, there is as yet no satisfactory consensus as to when and how citation metrics should be applied. Therefore, it is of great importance to comprehend the factors which influence citations. The purpose of this study is to identify more such factors in order to better understand the dynamics of citations. We first collected articles in Library & Information Science journals indexed by the Chinese Social Science Citation Index. 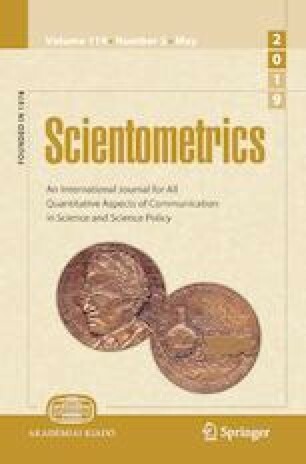 Then, we established reliable schemes to identify and record a total of 66 candidate factors—related to articles, authors, references and citations—which had not been comprehensively studied before. Bivariate analysis was applied to explore the relationship between those factors and citations, and forward stepwise regression was used to select predictive factors. We found that 46 factors were significantly associated with citations, from which six most significant factors were selected by a regression model. Possible strategies were hence proposed for identifying high-quality and high-impact articles. This study is financially supported by a research grant from the National Social Science Foundation of China (Grant Number: 17BTQ014). We would also like to express our appreciation for the reviewers’ hard work and helpful suggestions. Ministry of Education of the PRC. (2005). A directory of disciplines and specialties for postgraduates, master and Ph.D. http://www.cdgdc.edu.cn/xwyyjsjyxx/sy/glmd/264462.shtml. Accessed 11 April 2018.